Does being happy in love make you earn love handles? A new research suggests that being satisfied in a relationship makes a couple susceptible to weight increase. 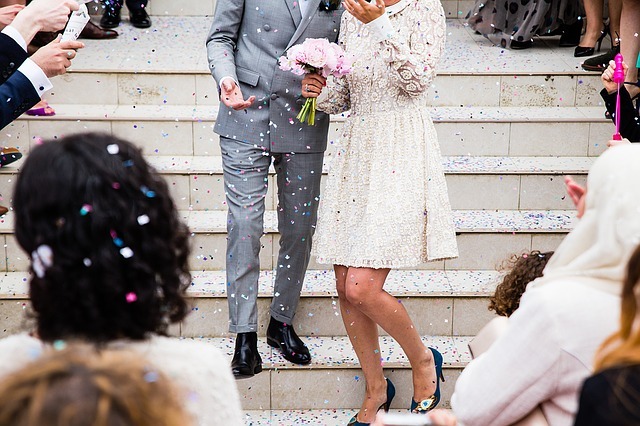 The study carried out by researchers from the National Center for Biotechnology Information followed 169 couples on their marriage for four years. Changes in the couple’s weight, height, marital satisfaction, stress, steps towards divorce and other covariates were recorded and evaluated. The researchers believe that couples in a happy relationship tend to gain weight because they don’t need to look for or attract another partner. Their findings showed that couples who experienced happy, healthy relationships gained extra pounds, while those who remained fit and slim have a rocky marriage or have headed to Splitsville. The researchers believe that couples in a happy relationship tend to gain weight because they don’t need to look for or attract another partner. On the other hand, those dissatisfied in their relationship are less likely to gain weight in order to be more desirable to attract a potential partner. Their results seem to prove the mating marketing model. Meanwhile, study coauthor Sarah Novak explained that couples don’t necessarily get fat together and that a couple’s weight gain is influenced by their priorities. “People’s priorities are different when they think they might have to date and attract someone new. If you think your relationship might end, you might prioritize healthy eating and working out. If you’re comfortable in your marriage, you might prioritize activities that are more pleasurable, like sleeping in or sharing brunch,” Novak told Elite Daily. Although several studies suggest that happy marriage is good for the health, the researchers also expressed their concern over the fact that stable relationships may lead to health consequences like diabetes and cardiovascular diseases. “By focusing more on weight in terms of health implications as opposed to appearance implications, satisfied couples may be able to avoid potentially unhealthy weight gain over time in their marriages," said lead researcher Andrea L. Meltzer.